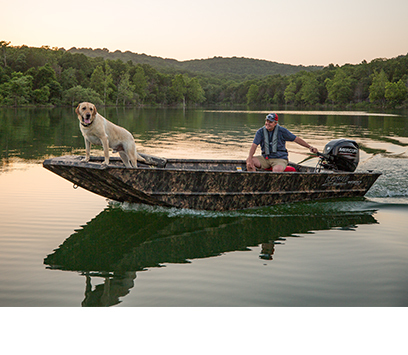 For the true-blue outdoorsman, a Lowe Roughneck™ is the ideal companion. 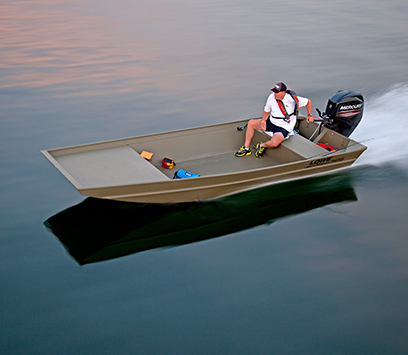 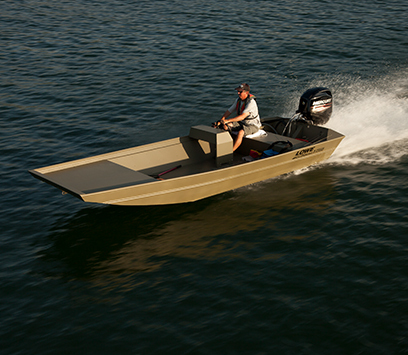 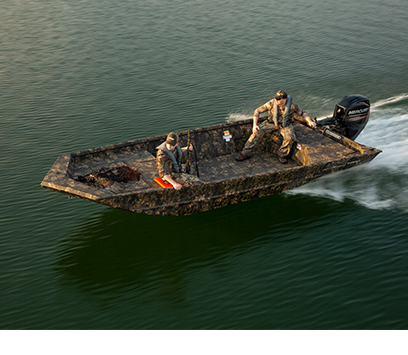 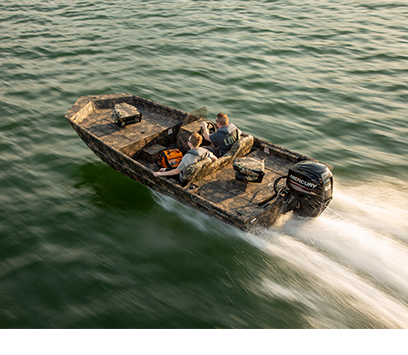 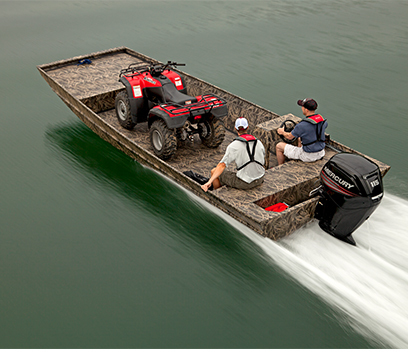 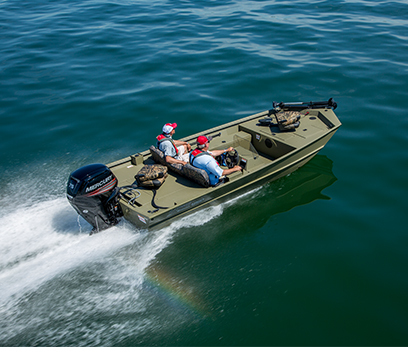 These versatile boats have gained a reputation for being one of the toughest boats you can buy. 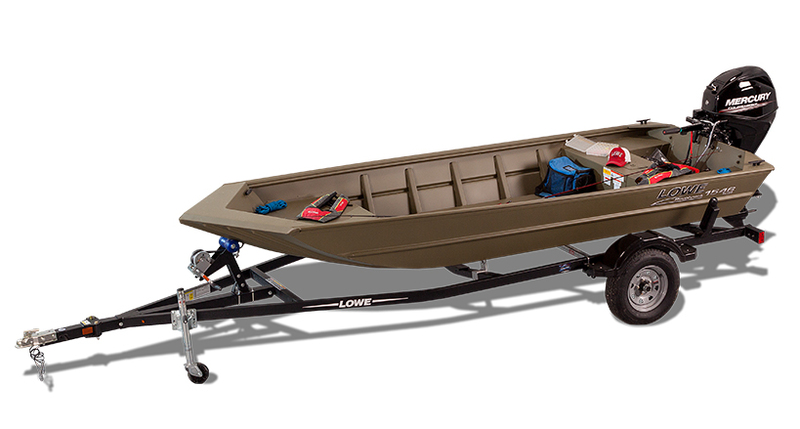 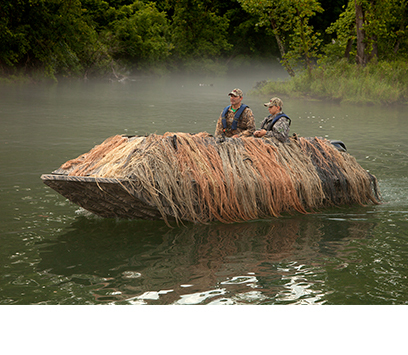 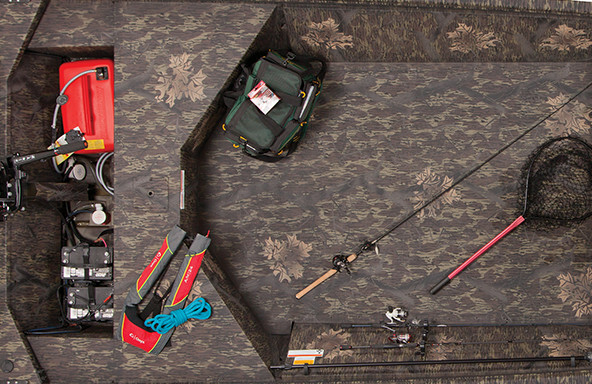 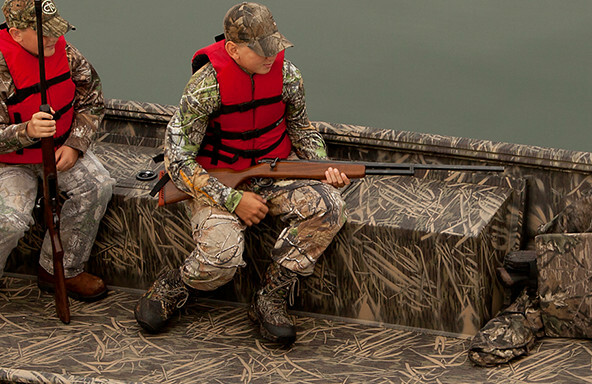 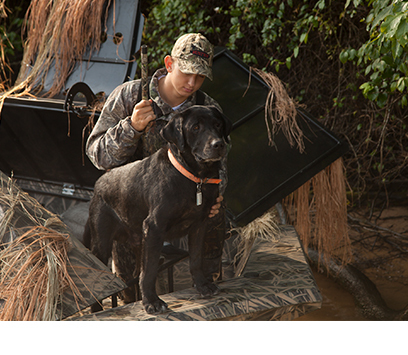 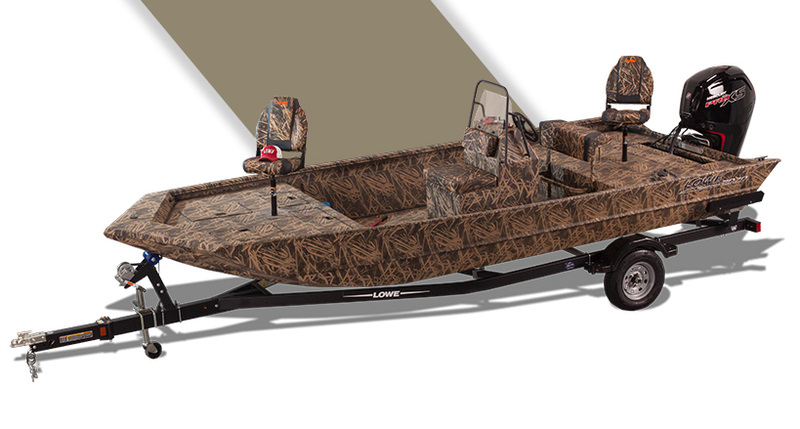 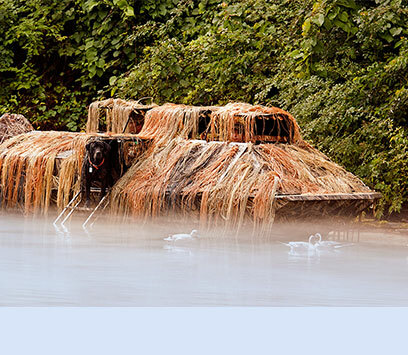 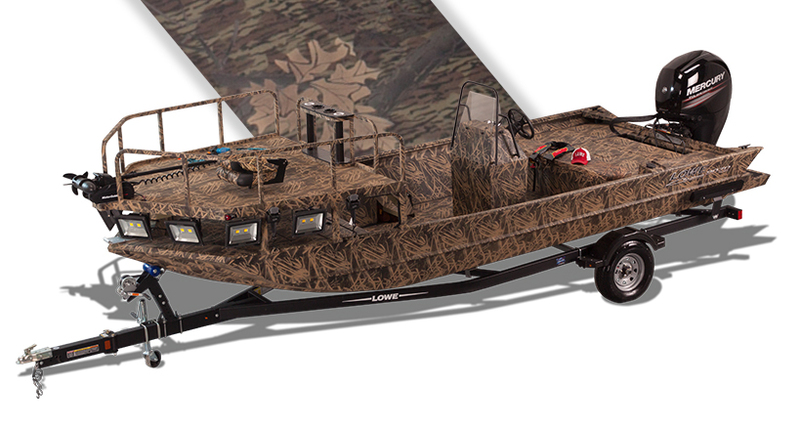 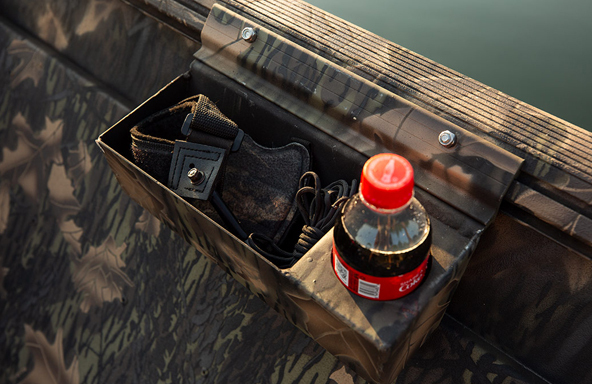 Specially built for hybrid hunting and fishing applications, Lowe’s hunting jons pack in an arsenal of hard-core equipment, feature models specifically designed for waterfowl hunting, bowfishing, also includes jet-boat and pathfinder models -- and all of them are easy to trailer and feature heavy-duty, oversized components for all-weather pursuits. 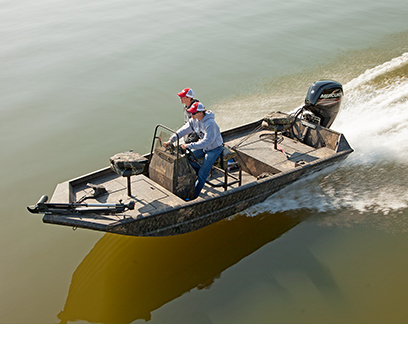 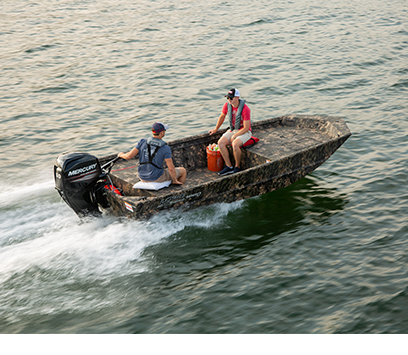 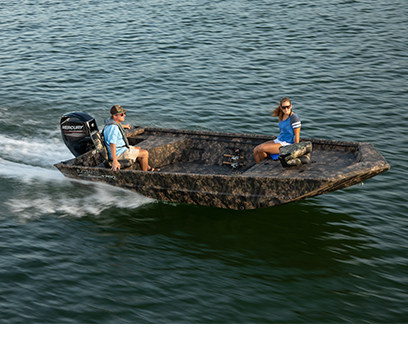 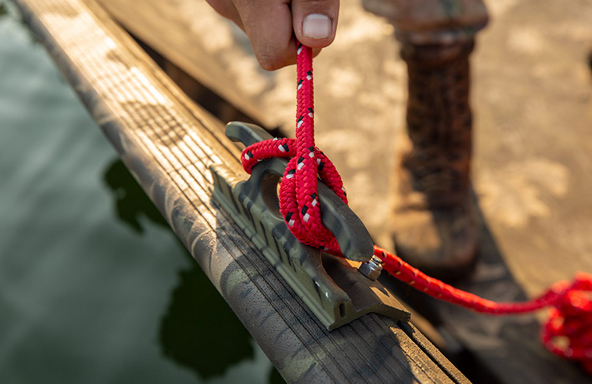 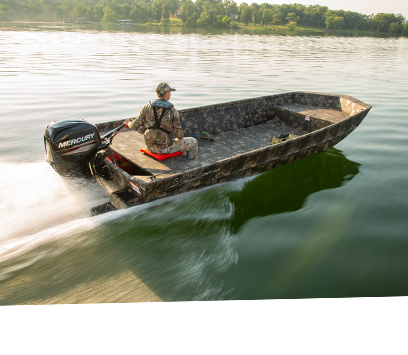 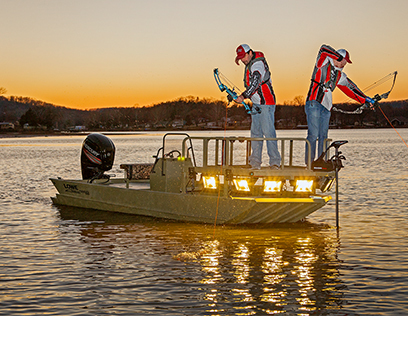 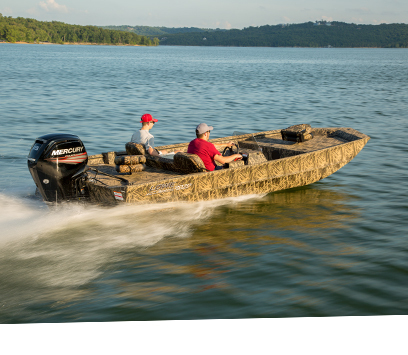 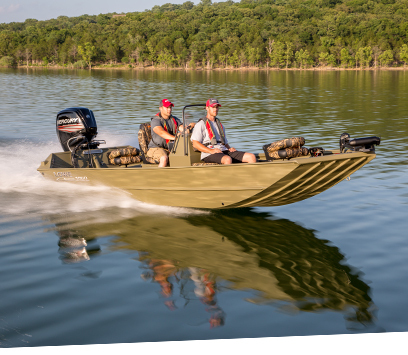 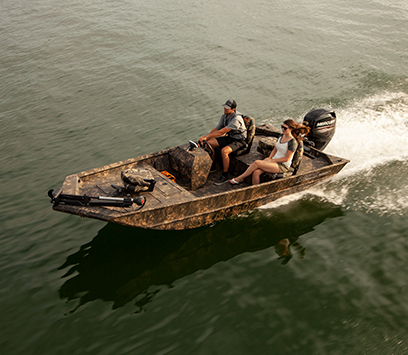 Customize your Roughneck to fit your specific needs, with options up and down the line, including console configurations, outboard packages, trolling motors, fishing electronics, camo paints, pedestal seats and much more. 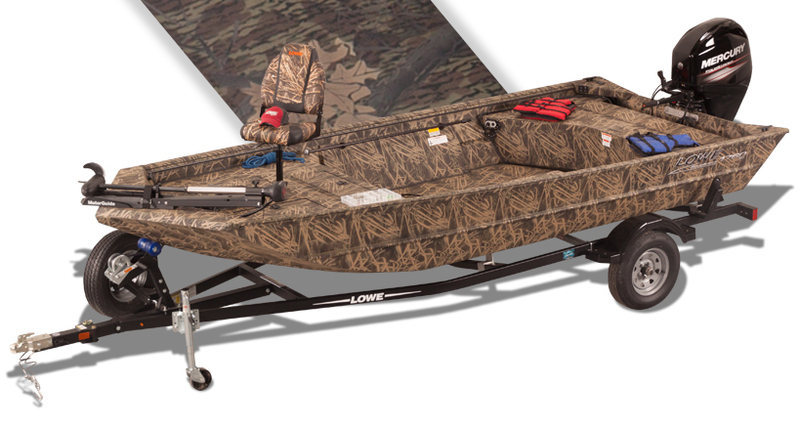 Chase down your game of choice in a Lowe Roughneck - the toughest, hardest-working Jons available. 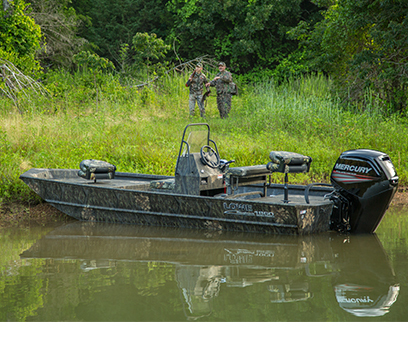 Roughnecks have been widely considered some of the toughest boats on the water for over 20 years, a reputation earned by features like the all aluminum transoms with reinforced knee braces and the heavy duty cleats. 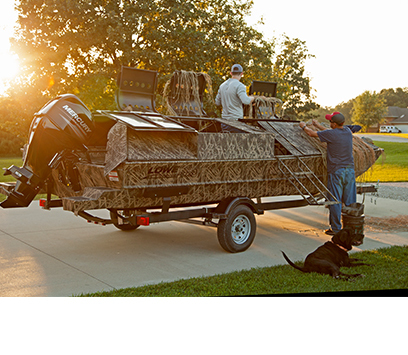 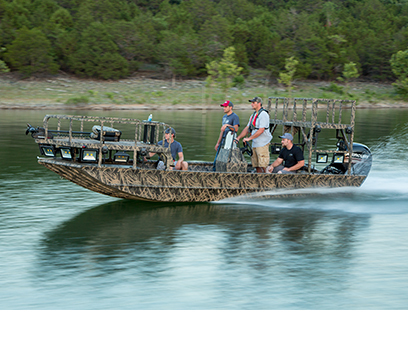 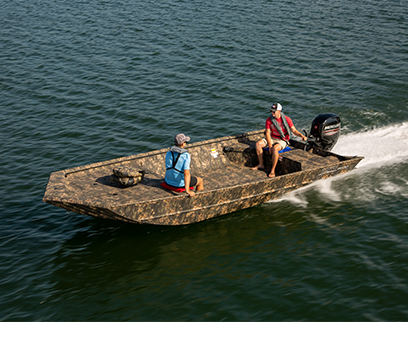 Select Roughneck jon boats feature split stern seating, or other open floorplans, perfect for hauling large loads or hunting ducks and waterfowl. 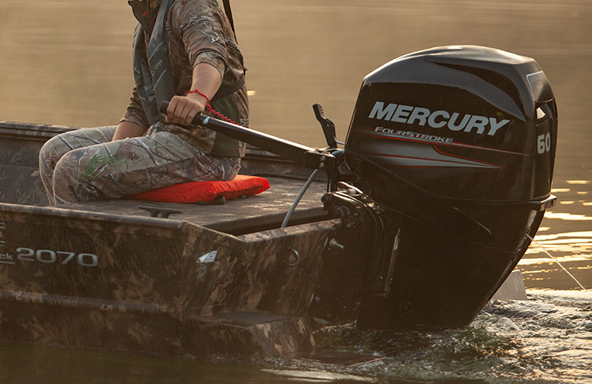 Unlock the potential of your Roughneck jon with the ultra strong all-aluminum heavy-duty knee brace reinforced transom, which allows you the option of bigger, more powerful Mercury® outboard engines. 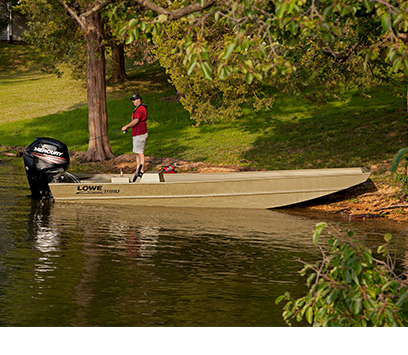 Expect cool and innovative storage on your Lowe Roughneck®. 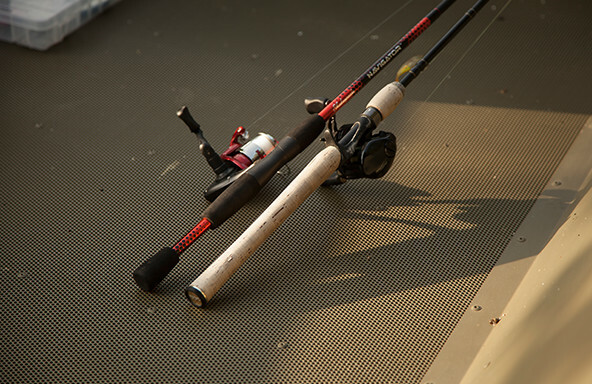 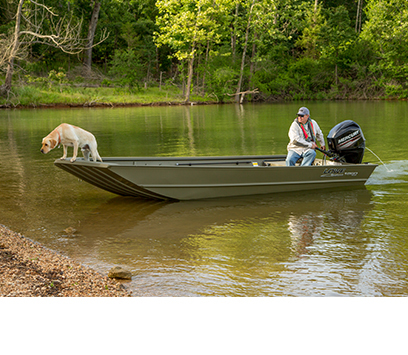 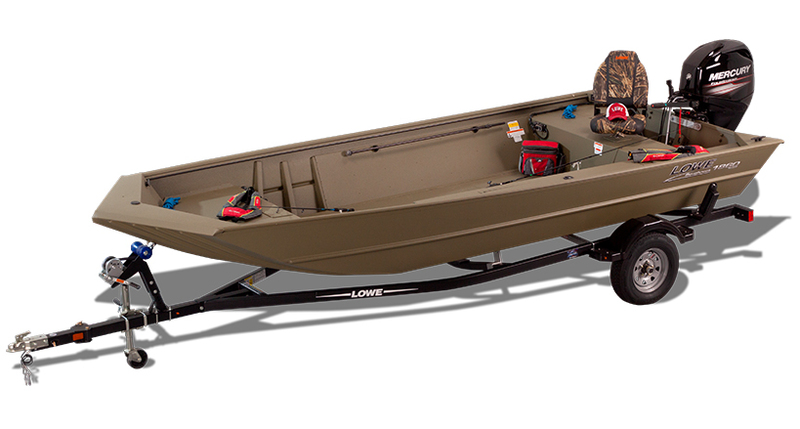 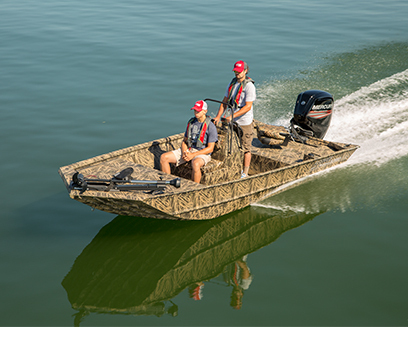 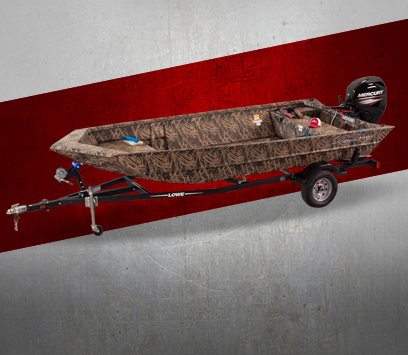 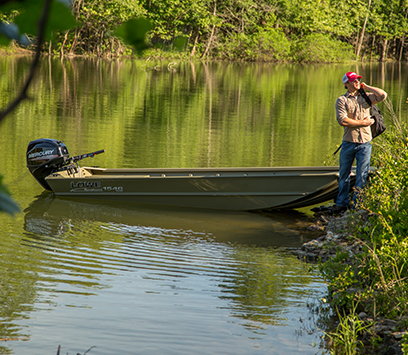 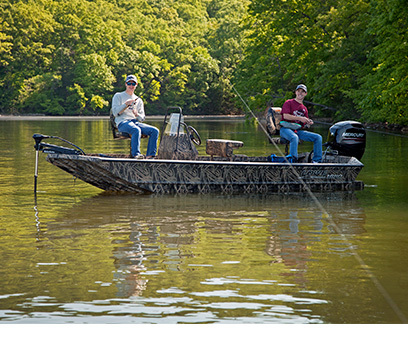 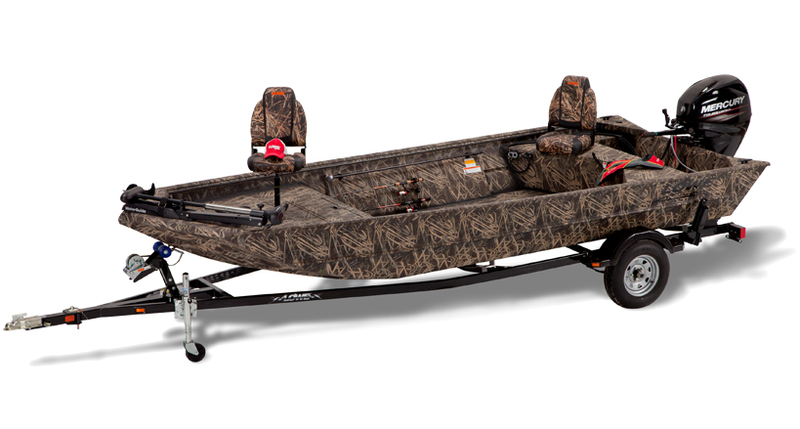 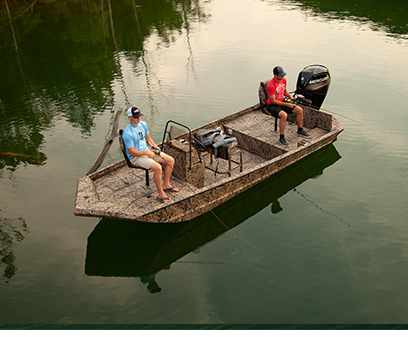 These powerful jons are designed by expert boat builders who like to hunt and fish all year long, so they are meticulously crafted for practical all-season versatility. 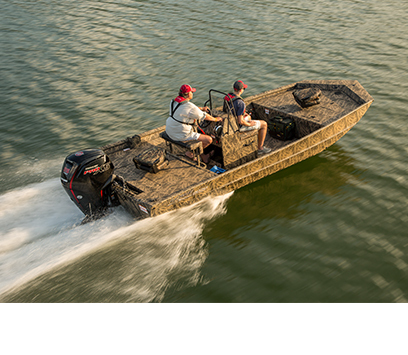 Select Roughnecks® include an aluminum floor liner for trip-free maneuvering and easy clean up – below-floor aluminum supports make Roughnecks incredibly strong and sound.